Presentations, Resources, Pictures & More from our 2019 Conference Coming Soon! The caregiving journey is never one that is traveled alone – it takes at least two people – the care receiver and the caregiver. Today, because of many factors, including longevity of life and advances in care for loved ones at home, family caregivers have become important members of the health care team. The care receivers are typically family members, however, they can also be others as today extended families and even friends live together. In the absence of available adults, children step up to the plate and sacrifice their education, heath, well-being and childhood to provide needed care. After discovering that one of four middle and high school students in Palm Beach County were academically impacted by caregiving, the Caregiving Youth Project (CYP) was initiated in 2006 by our nonprofit organization that was already providing support services to homebound persons and caregiving families. The CYP began at Boca Raton Community Middle School and since then has grown to serve more than 1250 students and their families in multiple middle and high schools. In 2010 the organization was newly named the American Association of Caregiving Youth (AACY) as the identification and support of young people was a natural extension of the original corporate mission and required full attention. The partnership with schools was a logical step to achieve mutual goals, the education and success of students. As the first organized program of its kind in the U.S., the template of the CYP for youth caregivers in school, out of school and at home required careful attention and development. It has only been through the efforts of a dedicated Board, staff, volunteers and partners that success for the youth, proven by graduation rates greater than 98% and post-secondary education for nearly three of four student- caregivers has been possible. The model CYP has matured and is replication ready. Thanks to the Schmidt Family Foundation, the Caregiving Youth Institute became a reality in 2014. It’s work is C.A.R.E. 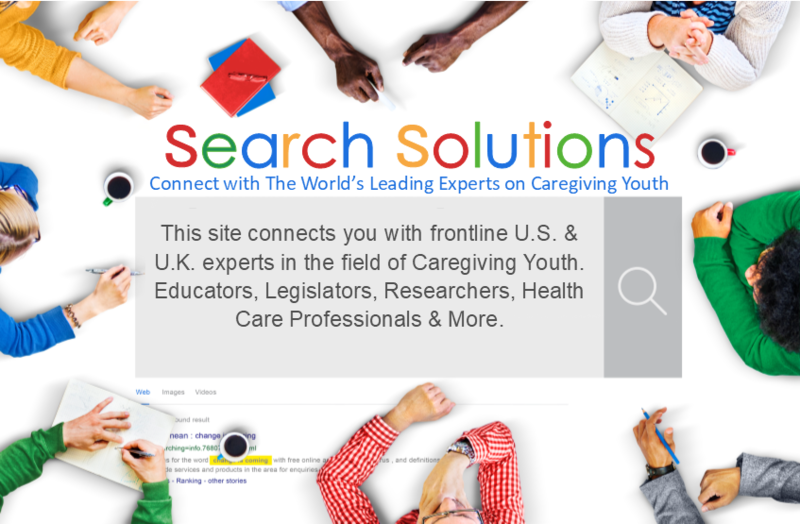 : Connect caregiving youth with each other throughout the U.S.; Advocate for inclusive legislative change on their behalf; Research to more fully understand the issues and collective impact of the CYP; and Educate professionals and the public from this day forward. The Caregiving Youth Institute is made possible by an initial grant from the Schmidt Family Foundation, a charitable foundation that provides grants to local non-profit 502(c)3 organizations that meet as a way to give back to the community which entrepreneurs and philantropists Charles E. and Dorothy F. Schmidt were a part of for so many years.